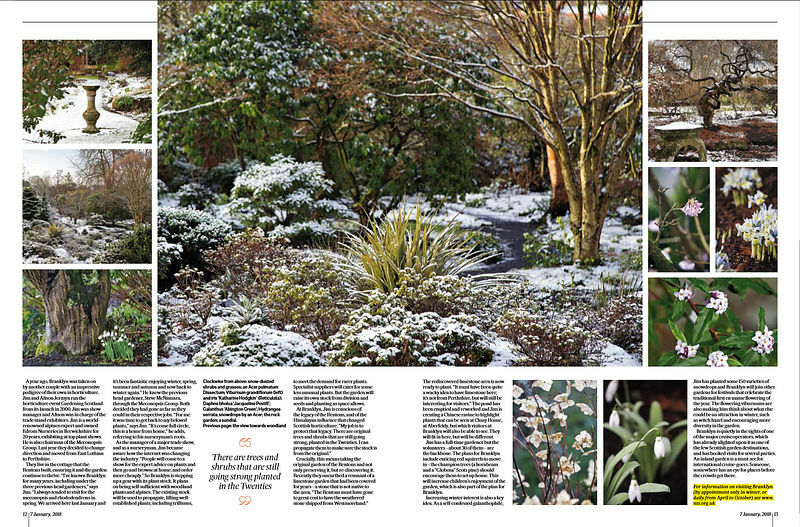 Branklyn Gardens in Perth which I caught under a light dusting of snow for this feature in Scotland on Sunday. This famous NTS garden is now under the capable management of Jim and Alison Jermyn who bring with them a wealth of plant knowledge and enthusiasm. Definitely one to visit this year, or re-visit if you've been before. 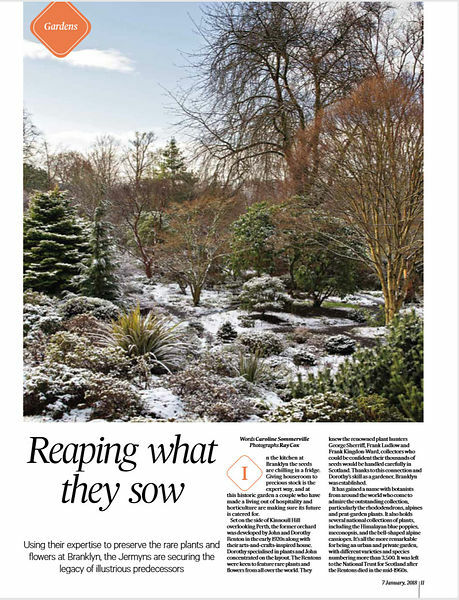 Open by appointment in winter and then daily from April to October and under Scotland's Gardens. Hi, for Web optimization solid contents are really needed, if you only make a copy and paste then you can not rated in search engines.